Louis A. Gottschalk (1916 - 2008) was an American psychiatrist and neuroscientist. Gottschalk earned his M.D. at Washington University in 1943 and his Ph.D. from Southern California Psychoanalytic Institute in 1977. He gained national prominence by announcing in 1987 that Ronald Reagan had been suffering from diminished mental ability as early as 1980. He came to this conclusion by using the Gottschalk-Gleser scales, an internationally used diagnostic tool he helped develop for charting impairments in brain function, to measure speech patterns in Reagan's 1980 and 1984 presidential debates. 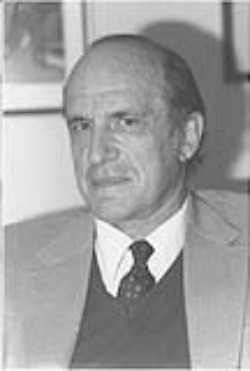 Gottschalk coinvented software that uncovered a link between childhood attention deficit disorder and adult addiction to alcohol and drugs. And in 2004, at age 87, he published his latest book, World War II: Neuropsychiatric Casualties, Out of Sight, Out of Mind.